What Wayne Dyer, Marianne Williamson and Jack Canfield are to books, Bob Sima is to music. Indeed he has even been called “Eckhart Tolle with a guitar.” The Transformational Troubadour is a teacher, a guide, and a mystic, but through the medium of melody. His music bridges daily life and soul consciousness. When Bob Sima leaves the stage – whether at a concert hall, a listening room, a spiritual center, a yoga festival, a prison, a conference or a hospital -- people are so deeply moved that they find it hard to express the power of what they have experienced. And many are changed forever. When Sima (pronounced sEYE-ma) opens his mouth to sing, what emerges is far beyond the human sounds of his warm and soulful voice. Beyond the songs, beyond the voice, beyond the stories, he speaks the language of the Universe, the language of the soul, the language of the heart. He’s not just singing to his audience, he is the musical navigation that guides people to reconnect to themselves and to each other. That is part of the experience. Bob sings through the static and connects audiences in a very visceral, powerful way, changing the vibration and consciousness in the room. Audiences are truly awestruck, often exiting as if walking on a cloud. Sima and his music touch the core essence common to all humans – a longing for peace and personal knowing. The need for belonging to something greater than oneself. The yearning for love in all forms – internal, external and universal. The desire to leave what was and embrace what is to come. He not only connects to his audience, the audience connects with each other. His music heals and expands the heart, transforming lives forever. The unique beauty of his songs draws upon ancient wisdom and modern masters to uplift, inspire, motivate and gently nudge listeners to live life differently, to reach for something more. His songs – more a musical experience than simple melodies – navigate a way out of pain and present a beautiful picture of a new horizon. Influenced more by Rumi and Gandhi than by Dylan and Springsteen, Sima has established himself as a headliner, teacher, keynote musician and transformational leader in venues across the country. He has shared the stage with Marianne Williamson, Gay Hendricks, Jack Canfield, Peter Russell and many other luminaries. What draws people in is Sima’s ability to share these insights in a way that grabs the listening ear, inspires the beating heart, awakens the inner spirit, and transforms one’s most intimate desires. He is a poet, observer, scribe, and healer - all divinely bundled as a singing, songwriting transformative force of energy. His gift of music is a magnifying glass to the soul, each song sincere and worth repeating for a lifetime. Sima truly moves his audiences - physically, emotionally, and spiritually. He is a distinctly different kind of musician and songwriter, one with noteworthy dreams and aspirations for his audience. He opens them to see and feel the new possibilities in any situation. Sima’s magical and electrifying performances weave together conscious and mindful conversation with his emotionally arousing songs that engage listeners in their own journey of self-discovery and growth – through joy, laughter and tears. The Maryland-based artist performs concerts, musical meditations, and workshops at festivals, retreats, spiritual centers, holistic health centers, listening rooms, and corporate events. House concerts are an intimate gathering where hosts create the “Sima Experience” in their own home, sharing the messages and the music with their closest friends and family. More than just an engaging, toetapping, hand-clapping entertainer, Sima lives his dharma. On each tour when he performs professionally, he tries to schedule at least one appearance where his messages are needed – places where music doesn’t typically reverberate through the walls. Calling these “Gratitude Concerts,” he offers free concerts at prisons, homeless shelters, assisted living centers, mental health facilities, hospitals and schools. They leave a legacy of empowerment in each of the communities where he visits. Sima, along with his partner Shannon Plummer, a powerhouse strategic visioning and intentional creation coach, also offer compelling workshops. Their acclaimed “Then Sings My Soul: Amplifying the Still Small Voice” is in high demand. It’s about breaking down walls to connect and listen to the creative forces that feed and inspire individuals regardless of whether they feel they are a creative or not. Sima’s soul-full music - a genre all of its own - that is delivered with his soft, yet powerful voice, transfixes people from the first note. Sima, who has no formal music training, feels the music and channels the lyrics. Inspired by the message or the topic, he creates light and magic through words and music. Consider some of these songs for example: “Be The Change”, “Don’t Die With Your Music”, “Shine”, “Breathe”, “Garden of Hope”, “I Am, “Grand Design,” and “Peace Signs and Laugh Lines” that resonate with the much needed core messages for today. 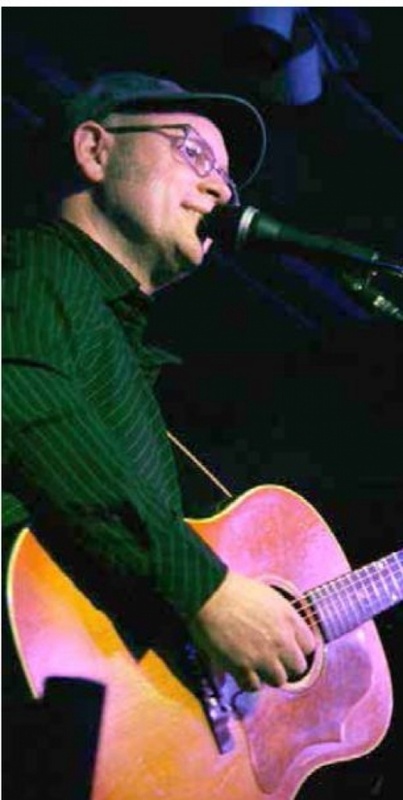 His newest CD, putalittlemoreloveintheworld, is earning rave reviews for its empowering messages encased in easy-to-fall-in-love-with-songs.It features the title track, a beautiful call to action for being a force of love; “Happening For You”, taking the challenges of life and refashioning them as a crucible for growth; “I Am”, a declaration of our essential awesomeness; and “Bit My Tongue”, a plea for relational respect that celebrates authenticity. Each of the 10 tracks features a moving commentary that engages the listener in a deeper perspective and a celebration of the human spirit. Committed to his Music, Message and Mission, Bob Sima honors his audience by creating a unique musical experience that will live on long after each performance or song ends. “People cannot but experience my contagious joy at being given the opportunity to share daily these songs and the messages I’ve been given,” says Sima. “Life doesn’t get much better than this!” To sample or download a selection of his music for free, please go to his website: www.BobSima.com. For more information on Bob, his inspiring music and his dynamic and affecting performances, visit www.BobSima.com.